Try these methods to make your machine zippier and less prone to performance problems. 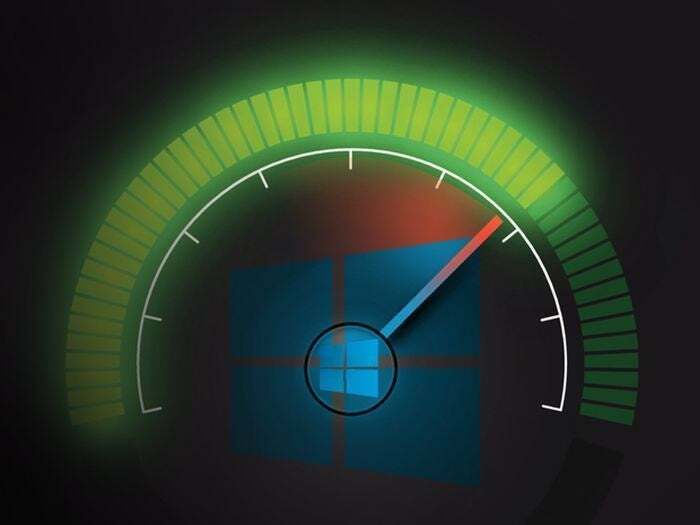 Want Windows 10 to run faster? We can help. Take a few minutes to try out these tips, and your machine will be zippier and less prone to performance and system issues. And for even more goodies, be sure to check out PCWorld's roundup of Windows 10's best tips, tricks, and tweaks once you've got the operating system running nice and smooth. There's a lot hiding underneath the surface. 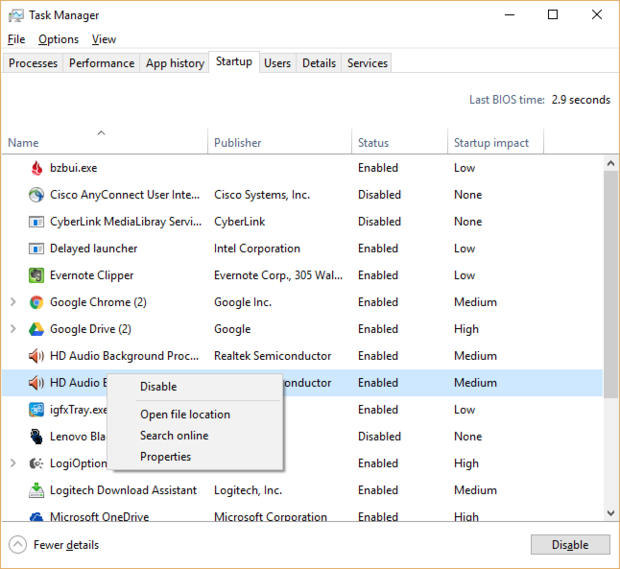 One reason your Windows 10 PC may feel sluggish is you’ve got too many programs running in the background—programs that you may never use, or only rarely use. Stop them from running, and your PC will run more smoothly. You can use the Task Manager to help get information about programs that launch at startup and disable any you don’t need. Windows 10 has some nice eye candy—shadows, animations and visual effects. On fast, newer PCs, these don’t usually affect system performance. But on slower and older PCs, they can exact a performance hit. It’s easy to turn them off. In the Windows 10 search box type sysdm.cpl and press Enter. That launches the System Properties dialog box. 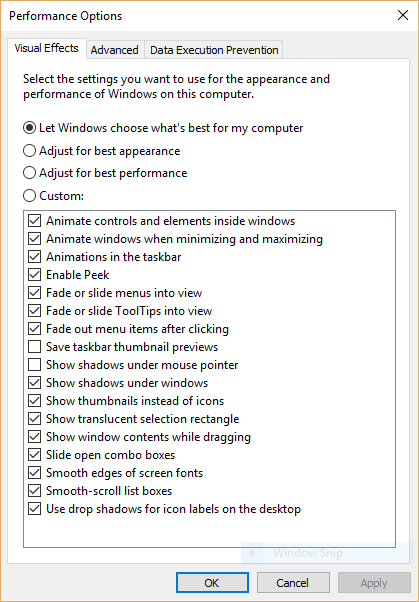 Click the Advanced tab and click “Settings” in the Performance section. 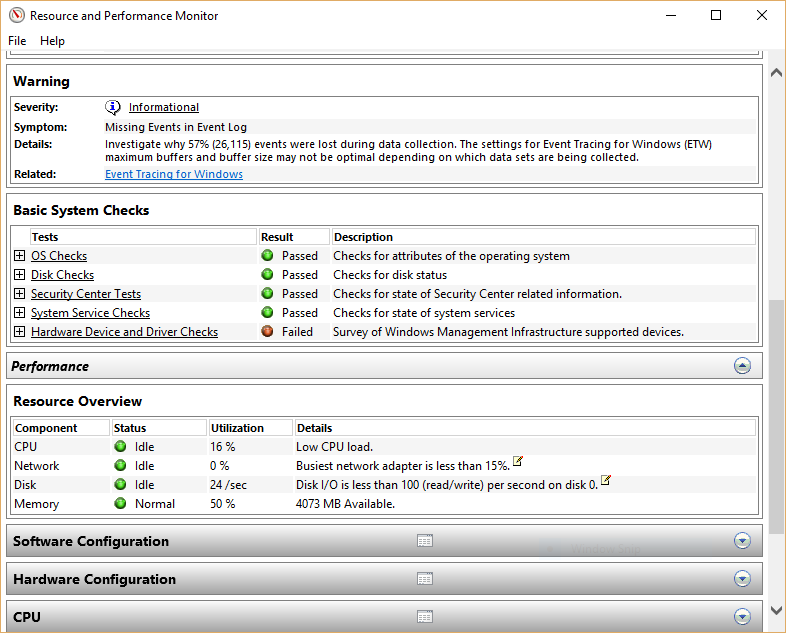 That brings you to the Performance Options dialog box. You’ll see a varied list of animations and special effects. Windows 10 has a very useful, little-known tool that can sniff out performance problems and solve them. 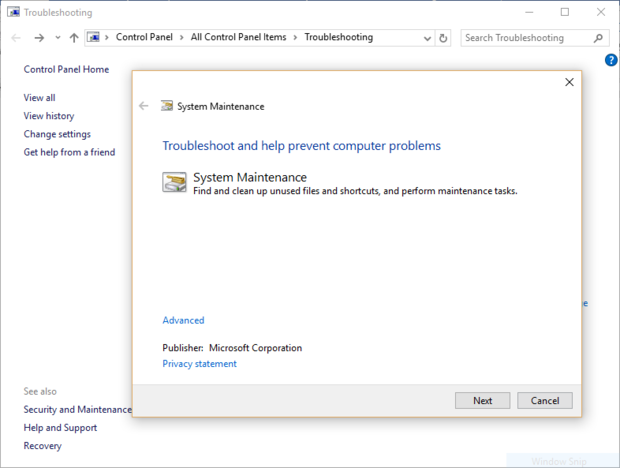 To launch it, type troubleshooting into the search box, and click the “Troubleshooting Control Panel” icon that appears. Then click “Run maintenance tasks” in the System and Security section of the screen that appears. 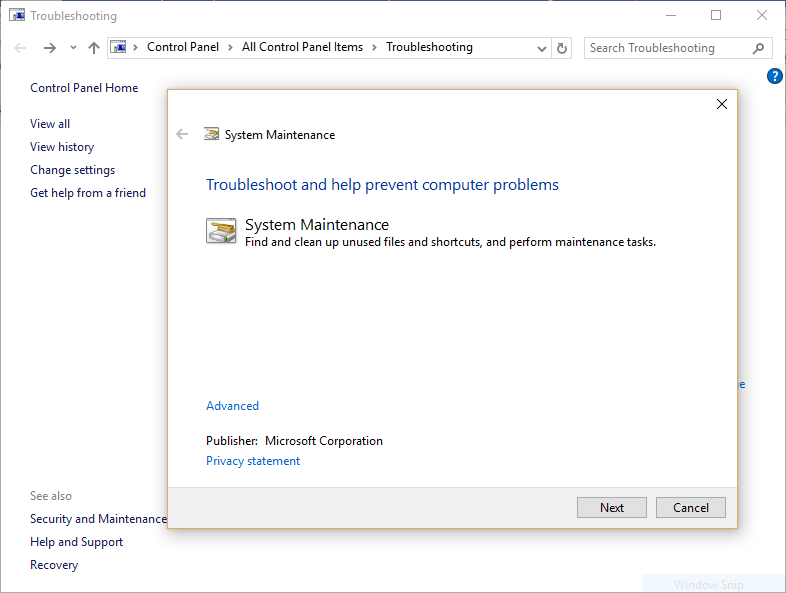 A screen titled “Troubleshoot and help prevent computer problems” will appear. Click Next. You’ll find a lot of extremely detailed information in the report, and it can take a lot of time to go through. Your best bet is to first look at the Warnings section, which details the biggest issues (if any) it found on your PC, such as problems with Windows, with drivers and so on. It also tells you how to fix each problem—for example, how to turn on a device that has been disabled. Beyond that, the Resource Overview also reports performance metrics and explanatory details. For example, for the CPU, it might show green and a utilization of 21%, with the details, “Normal CPU load.” Or for Memory, it might show yellow, with 62% utilization and the details, “1520 MB is available.” Based on what you get, you might want to do something about your hardware—for example, add more memory. 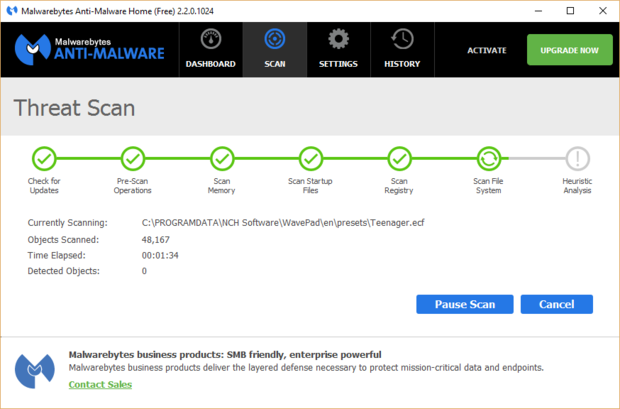 First, run a system scan to find adware and malware. If you’ve already installed a security suite such as Norton Security or McAfee LiveSafe, you can use that. You can also use Windows 10’s built in anti-malware app—just type Windows Defender in the search box, press Enter, and then click Scan Now. Windows Defender will look for malware and remove any it finds. Try just some of these tricks, and you’ll find that you’ve got a faster Windows 10 PC—and one that is less likely to have any reliability problems. Editor's note: This article originally appeared on Computerworld.com. This story, "How to make Windows 10 faster: 5 ways to speed up your PC" was originally published by Computerworld.